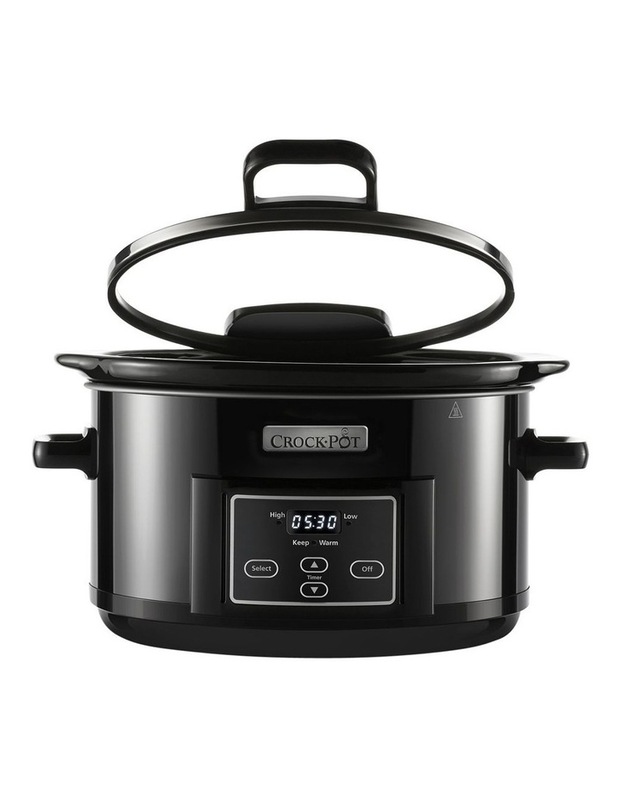 The Crock-Pot Digital Hinged Lid One Pot Cooker, allows you to conveniently serve your dish straight from your crock without worrying about where to put the lid. 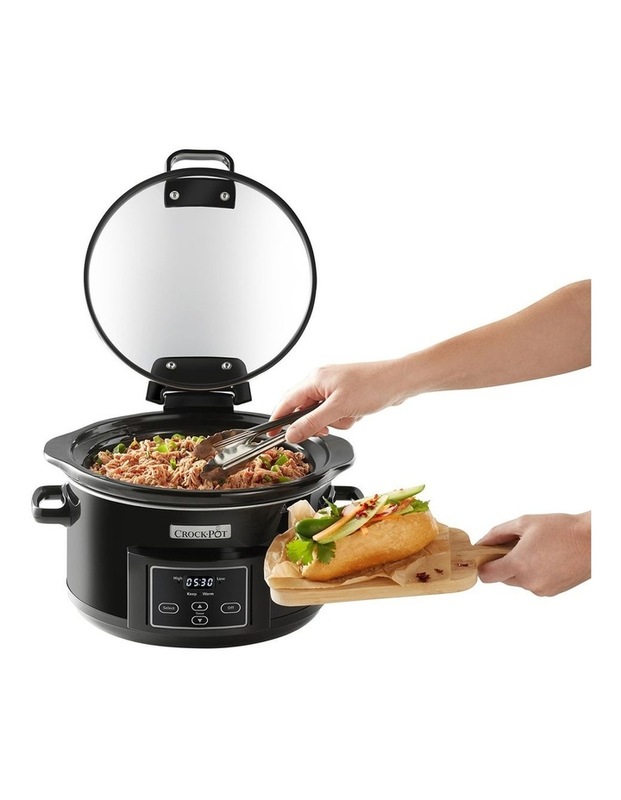 The durable hinged lid of this 4.7L slow cooker opens easily and stays in place while guests help themselves. Go back for warm seconds thanks to the auto keep warm setting that kicks in when cooking cycle is complete. And when the party is over, the dishwasher-safe lid detaches for easy cleaning. 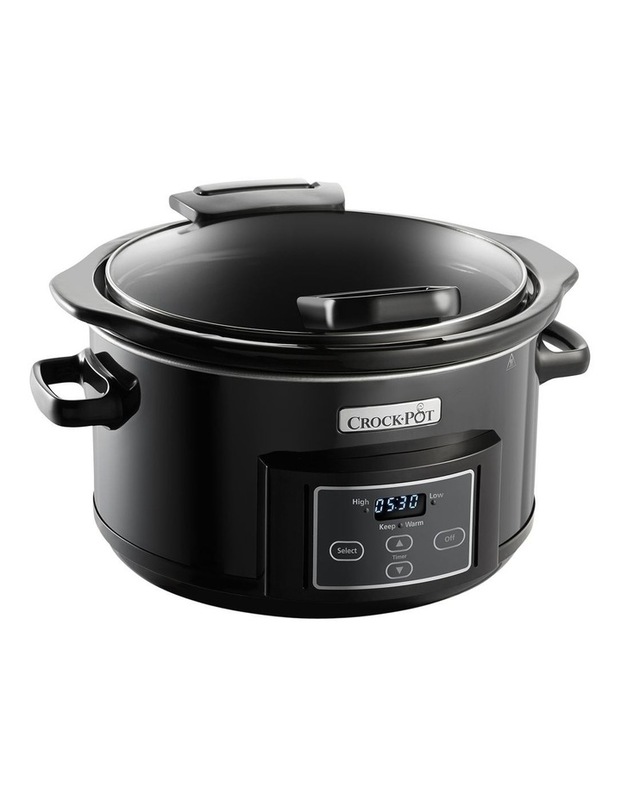 Enjoy an easier way to serve one pot dishes to your family and friends!